Lyon is a self-taught American photographer and filmmaker. 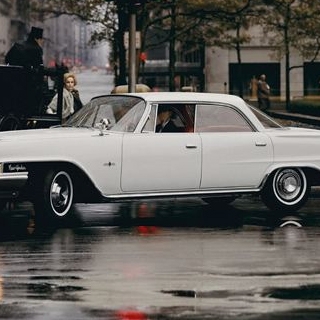 Born in Brooklyn, NY, he is also credited as an accomplished writer to accompany his photographs. He studied history at the University of Chicago, where he graduated with a Bachelor of Arts degree in 1963. 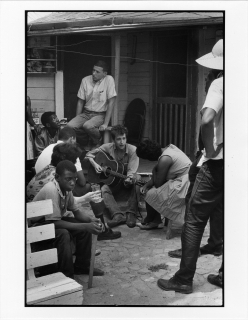 That same year, he published his first photographs working for the Student Nonviolent Coordinating Committee. His pictures appeared in The Movement, a documentary book about the Southern Civil Rights Movement. Later, Lyon began creating his own books. 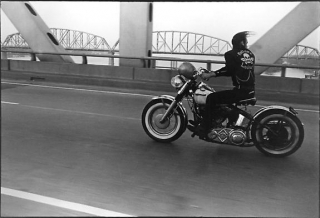 His first, was a study of outlaw motorcyclists in the collection Bikeriders (1967), where Lyon did more than just photograph motorcyclists in the American Midwest from 1963 to 1967. 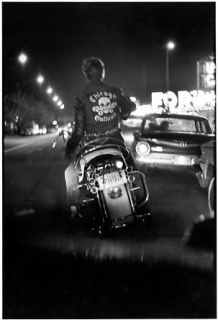 Additionally, he also became a member of the Chicago Outlaw Motorcycle club and traveled with them, sharing their lifestyle. According to Lyon himself, the photographs were "an attempt to record and glorify the life of the American bike rider." The series was immensely popular and influential in the 1960s and 1970s. All of Lyon's publications work in the style of photographic "New Journalism", meaning that the photographer has become immersed, and is a participant, of the documented subject.